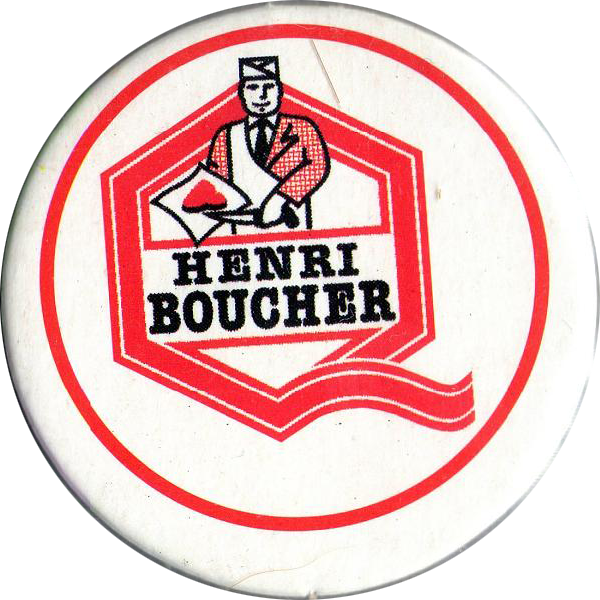 Info:These pogs would have been produced to promote the French butcher shop Henri Boucher. 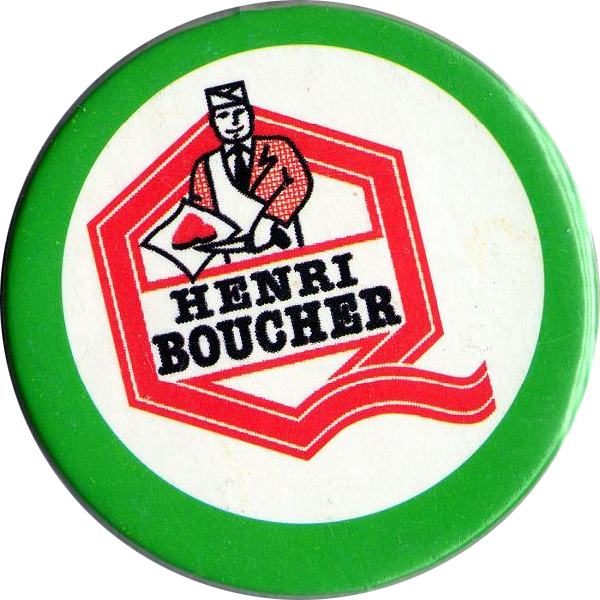 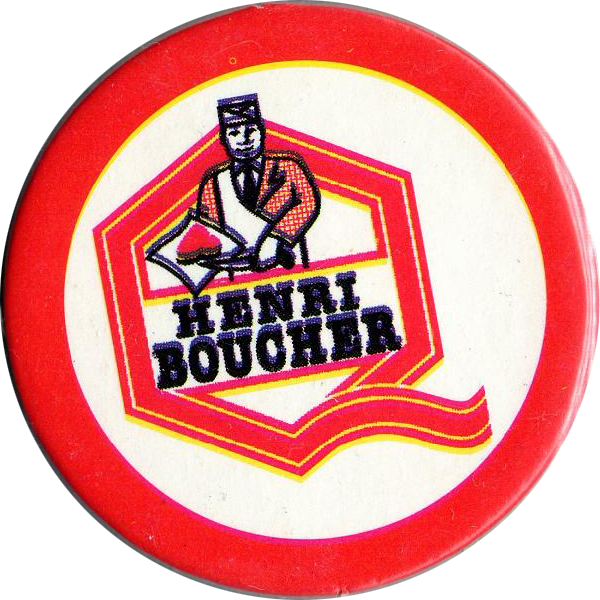 All four pogs have the same design of the Henri Boucher logo, but with a different colour around the outside of the pog. 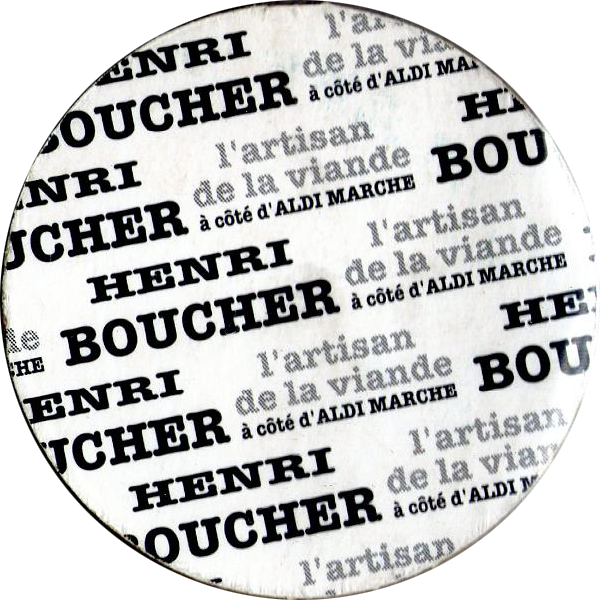 They all have the same back design, which contains the same text repeated multiple times. 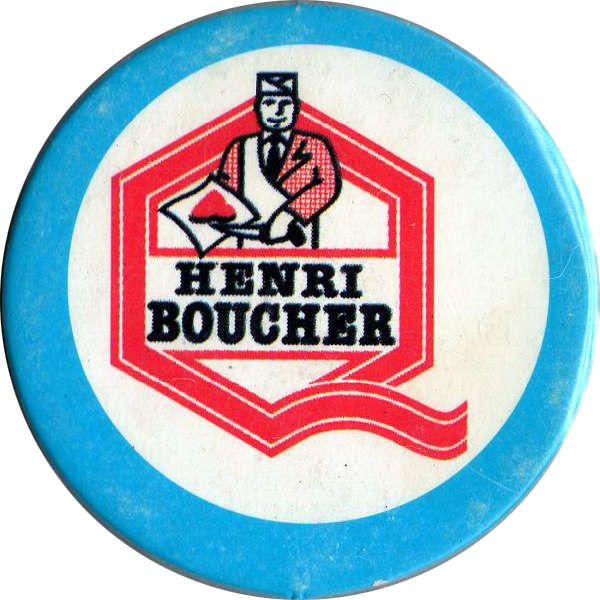 The text on the back is "Henri Boucher l' artisan de la viande à côté d' Aldi Marche".